Ad-free Hulu costs $4 per month more than the version with commercials. After years of toying with a potential ad-free version, Hulu is pulling the trigger. Starting today, Hulu will offer a $12 per month “No Commercials” option that bypasses the ad breaks in most of its streaming TV shows. 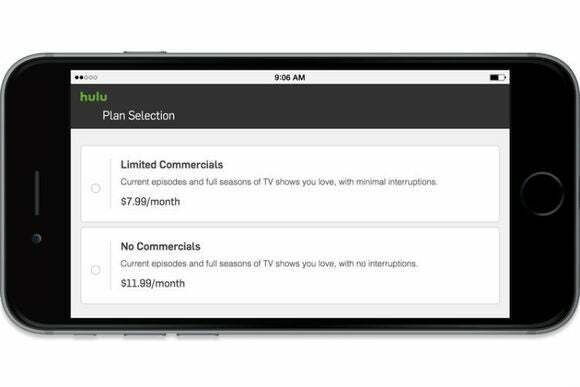 The ad-supported version (which Hulu now calls “Limited Commercials” after dropping its Hulu Plus branding) will remain available for $8 per month with access on phones, tablets, and televisions. Users can still watch some ad-supported shows for free on Hulu.com. There is one small snag: Hulu wasn’t able to negotiate total ad removal for seven of its shows, Recode reports. That means subscribers will still see a 15-second pre-roll ad and a 30-second post-roll ad for episodes of New Girl, Scandal, How to Get Away with Murder, Grey’s Anatomy, Once Upon a Time, Agents of Shield, and Grimm. Still, even that’s an improvement over the handful of commercial breaks that typically appear in the middle of each episode. Hulu has been thinking about this move for a long time. In 2010, then-CEO Jason Kilar told PCWorld that an ad-free version was a possibility, and Andy Forssell, another former CEO, reiterated those claims in 2013. The Wall Street Journal reported last month that Hulu was working on an ad-free version in earnest, with possible pricing of $12 to $14 per month. Why this matters: Hulu and its TV industry backers are likely feeling the heat from other streaming services such as Netflix and Amazon Prime, which alongside old-fashioned DVR have slain the concept of ads in on-demand viewing. And with HBO Now and Showtime entering the fray—also without ads—Hulu risks falling behind the times without a commercial-free option. Combined with a push for more programming such as Seinfeld and upcoming series from FX and AMC, Hulu is starting to look a lot more enticing.